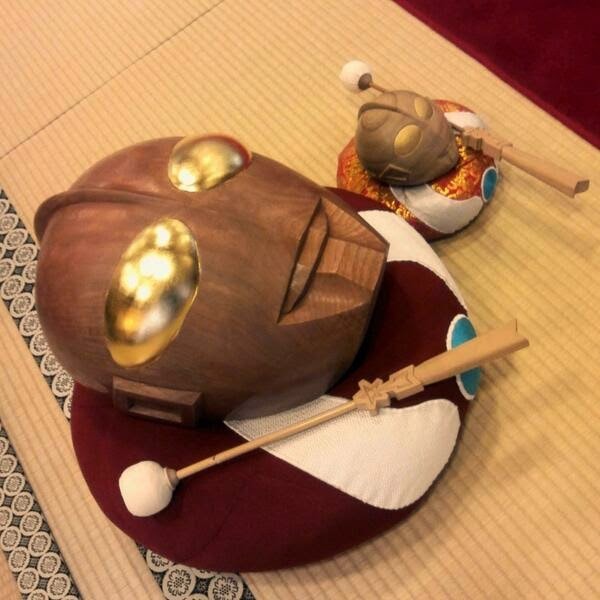 Mokugyo (木魚) is a wooden percussion instrument used in Buddhist rituals. "Nice sound," the tweet says. If you listen to NPR, you wouldn't know that. And never mind that Obamacare simply "takes money out of one person’s pocket and transfers it to another person’s, potentially crimping the spending of the person or company bearing the higher cost burden". The U.S. economy might have shrunk in the first quarter if not for the Affordable Care Act and spending to keep out the cold. U.S. gross domestic product expanded a paltry 0.1% in the first three months of the year, dragged down by falling inventories and weaker exports. Spending on housing and utilities, meanwhile, contributed 0.73 percentage point to the change in GDP while spending on health care added a hefty 1.1 percentage points, the highest figure on record. “If health-care spending had been unchanged, the headline GDP growth number would have been -1.0%,” said Ian Shepherdson, chief economist at Pantheon Macroeconomics. Outlays on utilities are clearly a double-edged sword. First, the severe winter weather chilled activity in other areas of the economy. Second, households have limited budgets and might well have spent money buying other goods or services had they not been forced to boost their thermostats. “Looking ahead, we expect consumption growth to remain stronger than in 2013, but we expect the contribution from goods consumption to rise and the temporary support from utilities and health care to gradually wane,” said Michael Gapen, an economist at Barclays Capital. The strong increase in health-care spending reflects that Americans — some of whom are newly insured — are visiting doctors and purchasing more medical products, said Jason Furman, chairman of the White House’s Council of Economic Advisers. Prices for health-care services rose more slowly than overall inflation in the first quarter, compared to a year earlier. That indicates utilization — not price gains — is driving the increased spending, he said. The spending figure includes amounts spent on purchasing insurance as well as drugs, exams and other care. The Affordable Care Act required most Americans to carry health coverage, expanded eligibility for Medicaid and created new health-insurance exchanges offering subsidized policies for many. Enrollment for private health insurance through federal and state exchanges has swelled to about 8 million, the White House said. The White House’s Mr. Furman said the Affordable Care Act should provide a “tailwind” to the economy for “the next year or two,” as more Americans gain health coverage. The deadline to enroll in exchanges was March 31. Though it’s been extended for individuals who had trouble completing applications, some economists say the economic impact of the health-care law may well fade—at least until the next enrollment period. The law could have negative consequences as well. The Congressional Budget Office said in February the law would reduce the total number of hours Americans work by the equivalent of 2.3 million full-time jobs in 2021. Another factor to consider: The Affordable Care Act, like all government spending, is funded either via taxes or borrowing. So it takes money out of one person’s pocket and transfers it to another person’s, potentially crimping the spending of the person or company bearing the higher cost burden. Finally, one main goal of the law is to help contain health-care costs over the long term, allowing more resources to flow to other sectors of the economy. Much more data — and time — is needed to see if it’s successful on that front. Probably not what many people want to hear, who have been busy petitioning their local governments on the US west coast about the danger of "high levels" of Fukushima radiation. According to the press release by Oregon State University, the researchers at Oregon State University and National Oceanic and Atmospheric Administration (NOAA) tested Pacific albacore tuna caught off the coast of Oregon between 2008 and 2012 and compared radioactive cesium levels, the first study to compare "before and after". The study is also the first to compare different parts of the fish. The study seems to be the continuation of the study they published on October 2012. The result was that the amount of radioactive cesium in post-Fukushima fish was triple that of pre-Fukushima fish, "at the most extreme level". An unexpected side benefit of studying these fish was, according to the researchers, to better understand the albacore tuna migration, using radioactive cesium from Fukushima as a trace. CORVALLIS, Ore. – Albacore tuna caught off the Oregon shore after the Fukushima Daiichi power station in Japan was destroyed in a 2011 earthquake had slightly elevated levels of radioactivity but the increase has been minute, according to a newly published study. “The presence of these radioactive isotopes is actually helping us in an odd way – giving us information that will allow us to estimate how albacore tuna migrate between our West Coast and Japan,” Neville said. Other authors were Richard Brodeur of NOAA’s Northwest Fisheries Science Center, and Kathryn Higley, of the OSU Department of Nuclear Engineering and Radiation Health Physics. The study was supported by Oregon State University and the National Oceanic and Atmospheric Administration, with continued support from Oregon Sea Grant. The Fukushima Daiichi power station released several radionuclides into the Pacific following the March 2011 earthquake and tsunami. A total of 26 Pacific albacore (Thunnus alalunga) caught off the Pacific Northwest U.S. coast between 2008 and 2012 were analyzed for 137Cs and Fukushima-attributed 134Cs. Both 2011 (2 of 2) and several 2012 (10 of 17) edible tissue samples exhibited increased activity concentrations of 137Cs (234–824 mBq/kg of wet weight) and 134Cs (18.2–356 mBq/kg of wet weight). 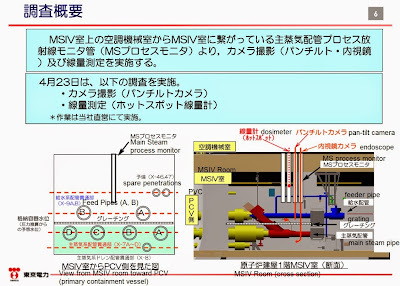 The remaining 2012 samples and all pre-Fukushima (2008–2009) samples possessed lower 137Cs activity concentrations (103–272 mBq/kg of wet weight) with no detectable 134Cs activity. Age, as indicated by fork length, was a strong predictor for both the presence and concentration of 134Cs (p < 0.001). Notably, many migration-aged fish did not exhibit any 134Cs, suggesting that they had not recently migrated near Japan. None of the tested samples would represent a significant change in annual radiation dose if consumed by humans. Researchers at Stanford University and Stony Brook University published the study on Pacific bluefin tuna in June 2013, which revealed radiation exposure from natural radioactive potassium and polonium (alpha nuclide) is significantly greater than exposure from Fukushima-derived radioactive cesium. US President Obama sure works hard for biggest multinationals, as can be inferred from his recent sushi dinner with Japan's prime minister. And Monsanto? His food safety 'czar', of all people, is a former Monsanto Vice President. Monsanto was also the winner of 27th Annual World Food Prize by the US State Department in 2013. Large Ukrainian agricultural associations have prepared draft amendments to the law on the state biosecurity system in creating, testing, transportation and use of genetically modified organisms (GMO) regarding the legalization of genetically modified seeds. President of the Ukrainian Grain Association (UGA) Volodymyr Klymenko said at a press conference at Interfax-Ukraine that the relevant appeal to the president, the head of the Verkhovna Rada and the heads of parliamentary factions was signed by six agricultural associations. "We could mull over this issue for a long time, but we, jointly with the associations, have signed two letters to change the law on biosecurity, in which we propose the legalization of the use of GM seeds, which had been tested in the United Stated for a long time, for our producers," he said. According to the UGA president, currently the GM seeds of corn and soybeans are used in the country in spite of the legislative ban. Talking about the use of foreign experience in this field, Klymenko said that "we will never take someone's seeds and will never be able to study them, because this requires decades. Ukraine's way forward in this issue is either to agree or not to." According to the expert, the United States produces about 75% of corn and 95% soybeans from GM seeds. The European Union banned the cultivation of GM crops, but GM products are imported and used, in particular, in animal breeding, added Klymenko. China continued to reject corn cargoes from the U.S. that contained an unapproved genetically modified variety while accepting a first bulk-carrier shipment of the grain from Ukraine. Genetically modified corn and corn-derived products totaling 601,000 metric tons were rejected in 2013, the official Xinhua News Agency reported today, citing the General Administration of Quality Supervision, Inspection and Quarantine. A Panamax-sized shipment of non-genetically modified corn from Ukraine entered the country on Dec. 6, according to a statement dated Dec. 25 on the website of state-owned China National Complete Engineering Corp. The quarantine agency’s newest figure cited by Xinhua was 56,000 tons more than it announced on Dec. 19, showing the government’s continued screening of U.S. corn and and dried distillers’ grains, or DDGS, for the unapproved insect resistanr MIR 162 gene. Net corn sales to China from the U.S. in the seven days through Dec. 26 dropped by 116,000 tons from the previous week, according to a report on the website of U.S. Department of Agriculture. China National Complete Engineering carries out overseas engineering projects, often funded by Chinese government, according to its website. It began to market grain from Ukraine last year under a contract that became effective December 2012, according to the Dec. 25 statement. China’s Ministry of Agriculture said in May 2012 the country agreed to finance $3 billion worth agriculture projects in Ukraine in exchange for terms including rights to sell Ukrainian farm products. Ukraine may export 18 million tons of corn in 2013-2014, tying it with Argentina as the third-biggest supplier behind the U.S. and Brazil, the U.S. Department of Agriculture forecast in December. ...Now everything from an unstable currency to tight credit threatens the spring planting season, and the uncertain outlook for the Ukrainian economy is a longer-term threat to the prediction by some of the biggest agricultural companies that a future Ukrainian corn belt will rival the U.S. market. Here's Monsanto's current job openings in Kiev, Ukraine. Reuters Columnist on Obama's Promise to Defend Japan in Territorial Disputes: "Creating False Expectations"
Another bogus "red line", I suppose. Reuters' columnist Anatole Kaletsky's take on Obama's promise to defend Japan militarily against China over Senkaku Islands (that's how it is understood in Japan) is that the US president created false expectation he has no intention of actually fulfilling. I see. So indeed China is Russia, and Ukraine is Japan, as Reuters Japan's article compared the other day (see my post on April 24, 2014 for the quote from the article). President Barack Obama’s trip to Asia this week has focused mostly on Japan’s territorial disputes with China. On this issue, Obama seems to be repeating the same mistakes he made in Ukraine. By creating false expectations of U.S. support for the Japanese position, the president is encouraging Japan to escalate its belligerent rhetoric. That, in turn, makes Chinese military action to seize the disputed islands more likely. Everyone knows that there is no chance of the United States going to war with China to defend Japan’s claim to four uninhabited lumps of rock. Luckily, a military confrontation in the East China Sea remains highly unlikely because the Beijing government’s top priority is economic and financial reform. Unfortunately, this seems less true of Japan. Prime Minister Shinzo Abe’s attention seems to have shifted from economics to diplomacy and military matters — and financial markets have started to notice this disturbing change of focus. The clearest evidence can be seen in the relative performance of the Japanese stock market. ...The second reason for the Abe government’s new-found tolerance for an economic slowdown is directly connected to the rise of China. When Abe was elected in late 2012, his determination to revive the Japanese economy was significantly motivated by fears about China. The worry was not that China had overtaken Japan as the world’s second-biggest economy and would eventually overtake the United States’ — even the most ardent Japanese nationalists see both these trends as inevitable. More troubling was growing evidence that China’s economic might was shifting the balance of interest in Washington from the traditional postwar friendship with Japan to cultivating better relations with China. Given Japan’s dependence on U.S. military power, the shift of U.S. attention to China was alarming. Particularly to a fervent nationalist such as Abe, who has always cared passionately about winning Japan’s territorial disputes and rehabilitating its wartime reputation. But with Obama’s words, the United States has now shown its willingness to antagonize China by promising to defend Japan unconditionally in any territorial disputes. These promises will almost certainly prove false in the event of a genuine military confrontation. But for the moment, they seem to have reassured Japanese politicians that Washington will continue to pay attention to Japan — even if it slides back into economic irrelevance. Japan's Nikkei Shinbun's article on April 29, 2014 by Nikkei's Washington Bureau is right on, which surprises me that they actually get it. It would be an easy task, if he could do a favor to Japan with words only and receive a substantive gain in Trans-Pacific Partnership (TPP) in return. It makes one wonder, given Mr. Obama's words and deeds without gravity as symbolized (represented) by his handling of Syria. Mr. Obama was all ready to go to war with Syria (backed by nuclear Russia) with youtube videos as evidence. Who needs gravity in this day and age? 'Cui Bono' Over Ukraine: Toshiba/Westinghouse for One, Selling More Nuclear Fuel to Ukraine, But Russia Says It May Lead to "15 Chernobyl Disasters at a Time"
The US's Westinghouse, 100% owned by Japan's Toshiba, will be selling more nuclear fuel to nuclear power plants in Ukraine to make up for the potential supply disruption from Russia. Never mind that Russian Vice Prime Minister Dmitry Rogozin warns on his Facebook (link from Huffington Post Japan article) about a danger of using the US-made nuclear fuel in the Russian-made nuclear reactors in Ukraine. As the FT article below quotes the vice president of Westinghouse, Ukraine is now the third largest nuclear power operator in Europe after France and the UK, with 50% of electricity from nuclear power. Westinghouse Electric Company has extended a contract with Energoatom, Ukraine’s nuclear power operator, to supply fuel to plants until 2020. The deal struck on Friday, valued at between $100m and $200m, will see the Toshiba-owned company supply 15 annual fuel supplies for initially two reactors, easing Ukraine’s dependence on Russia for fuel supplies as disputes between the two countries rumble on. Russia has raised natural gas prices to Ukraine by 80 per cent and threatened to cut supplies altogether. This has left the government in Kiev to seek alternatives in order to diversify fuel supplies in its energy inefficient economy, as talks on importing gas from European markets via Slovakia drag on. Mike Kirst, Westinghouse vice-president, said the group aims to be providing “roughly 20-25 per cent of Ukrainian nuclear fuel supply through 2020”. The first supplies will be shipped to the South Ukraine nuclear power plant. Supplies to other Ukrainian nuclear reactors currently burning fuel from Russia’s TVEL will follow. Mr Kirst described the deal as a “milestone” for Ukraine and Westinghouse. “This contract would represent roughly between 5-10 per cent of our European fuel business. When you talk about a fleet of reactors that are 15, it could [reach] 20-25 per cent” of our business in Europe, he said. Citing Ukrainian officials, Mr Kirst said Westinghouse fuel had proven less expensive for Ukraine “if you factor in” price and efficiency. Kiev is reducing cooperation with Russia in the field of nuclear power production and is going to sign a contract with the Westinghouse Electric Corporation of the United States for nuclear fuel supplies. Flaws have been repeatedly detected in Westinghouse-made fuel assemblies. Experts believe that the use of such assemblies will make Ukrainian nuclear reactors less reliable and may pose a threat to Ukraine’s nuclear safety. Ukraine’s new authorities have clearly decided to ratchet down Kiev’s dependence on Russian nuclear fuel supplies and sign a contract to that end with the Westinghouse Corporation. But the move may result in a manmade disaster in Ukraine, since the nuclear power plants in Ukraine have been built from Soviet design an can safely operate only on the fuel made in the Russian city Elektrostal, says Deputy Chairman of the State Duma Committee for Natural Resources, Maxim Shingarkin, and elaborates. "Every single reactor is normally built on the assumption that it will consume the nuclear fuel with specific characteristics, such as the amount of highly enriched uranium and certain thermal response. Any deviation may result in a nuclear accident. We can get as many as 15 Chernobyl disasters at a time, with a danger of such a scale to Ukraine, Russia and Europe that the entire world’s civilization will fail to cope with them". Ukraine already signed a contract with Westinghouse, five years ago to be exact. 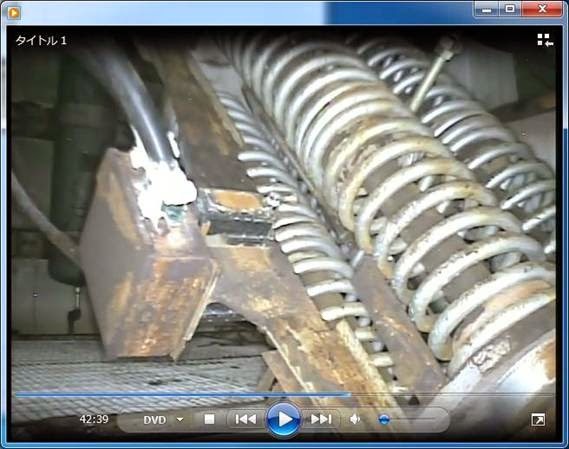 US-made fuel assemblies caused problems in two generating units in less than a year. The assemblies began to bend themselves due to design flaws. But Ukraine managed to avoid a nuclear disaster then. Ukraine banned the Westinghouse-made nuclear rods from loading into its reactors. But the people currently at the helm in Kiev seem to be prepared to ignore the negative experience of using US-made fuel assemblies and to have them loaded into as many as three reactors at a time. This runs counter to the international nuclear safety and security standards, says the Chairman of the International Union of Atomic Energy and Industry Veterans, Evgeniy Akimov, and elaborates. "This kind of experiment was made several years ago when Ukraine and the Czech Republic attempted to use US-made nuclear fuel rods. The results proved negative in both cases. The rods were removed, and the plants resumed the use of Russian-made fuel". The use of Westinghouse-made fuel in Ukraine may put out Ukrainian reactors out of operation, prompt a discharge of radioactive substances into the atmosphere, cause the whole of Ukraine’s electric power production system to collapse and trigger and environmental catastrophe in Ukraine and beyond. The Voice of Russia may be exaggerating, for the fear (if there is fear on their part) of losing the nuclear fuel business in Ukraine. But Mr. Maxim Shingarkin's comment above rings true. Now to the real, very serious problem at Fukushima I Nuclear Power Plant and potentially far beyond. 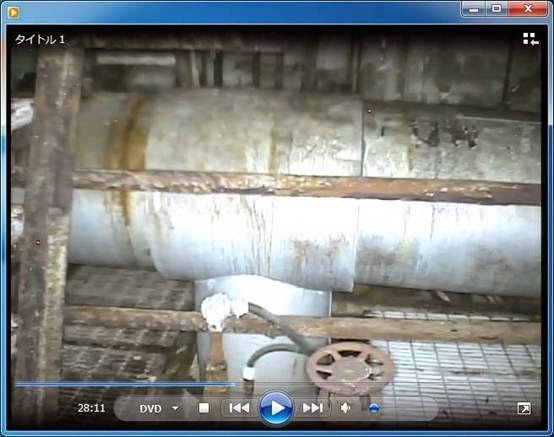 Remember the highly contaminated water found leaking from the MSIV (Main Steam Isolation Valve) room in Reactor 3 in January this year? The water contained high levels of radioactive cesium (1.7 million Bq/L of cesium-137) and all-beta (24 million Bq/L) that even TEPCO admitted it was not the water being injected into the reactor (treated water) and implicitly admitted that it was the water coming out of the reactor. 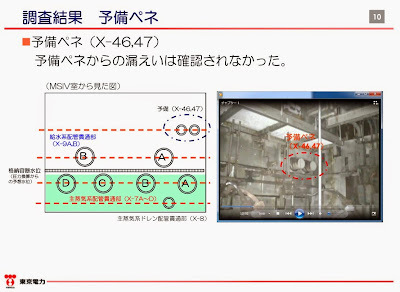 Without much fanfare or publicity, TEPCO did the preliminary investigation of the Reactor 3 MSIV room to identify the location of the leak on April 23 and inserted the report on the result in the Roadmap updated and announced on April 24, 2014. There has been hardly any press coverage since. After reading and re-reading TEPCO's investigation report, I think I have adequately figured out what they are trying to say (and not say). 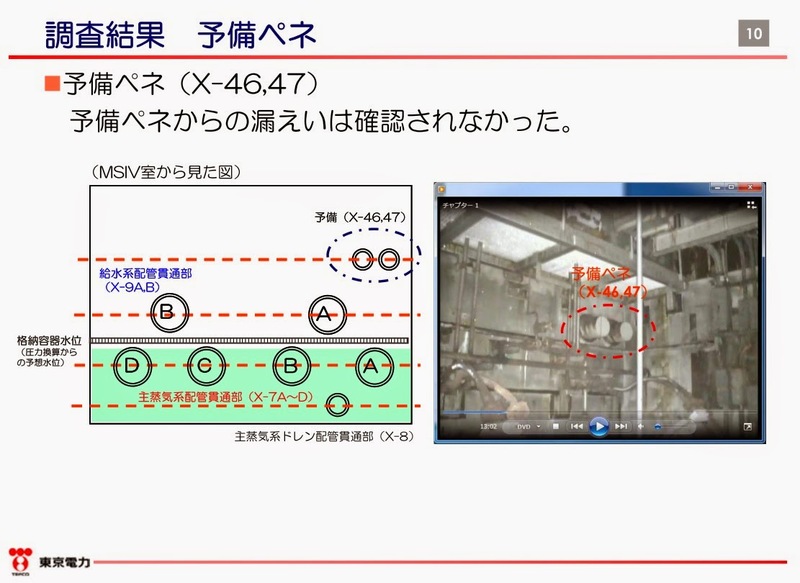 TEPCO's explicit conclusion: The leak is not from the two Feed Pipes, not from the two spare (reserve) penetrations. 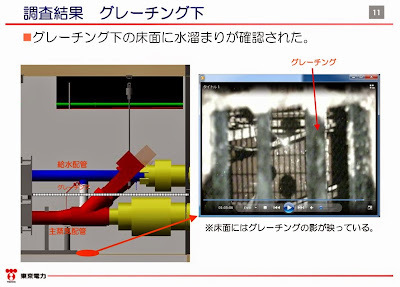 TEPCO's implicit conclusion: The leak is from somewhere else, below the grating. 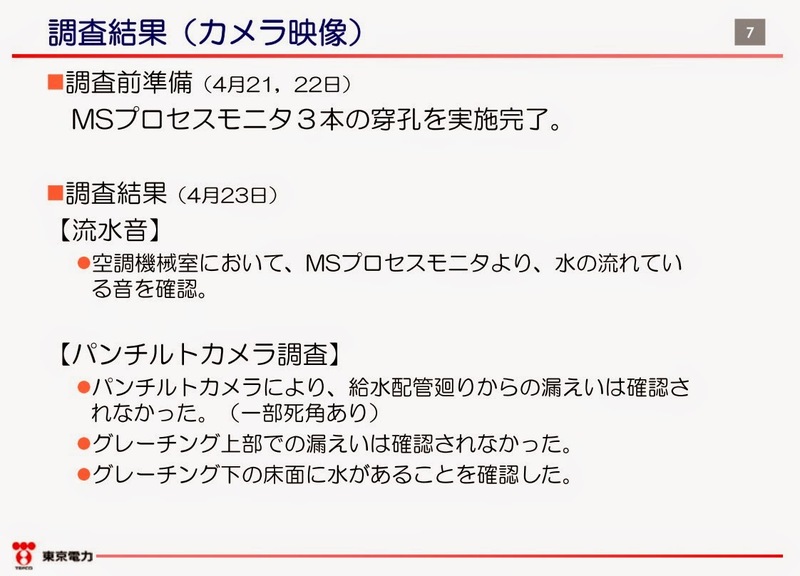 And what TEPCO doesn't explicitly list? Main Steam Isolation Valve (MSIV) itself. 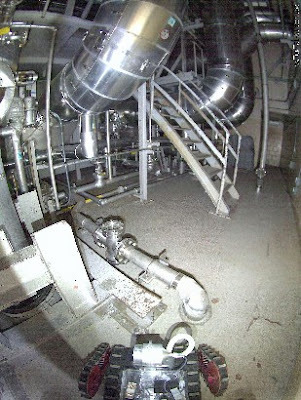 MSIV (Main Steam Isolation Valve) is a huge valve attached to the main steam pipe that connects the reactor building and the turbine building. When this valve closes, it means there is some extraordinary incident happening in the reactor core. Conversely, one might say that it would be a problem if this valve did not close in such an incident. When the reactor scrammed on March 11, 2011, the MSIV should have promptly, securely closed, without breakage, without leak. It is not supposed to fail. Implications for nuclear reactors around the world would be grave, if it did. 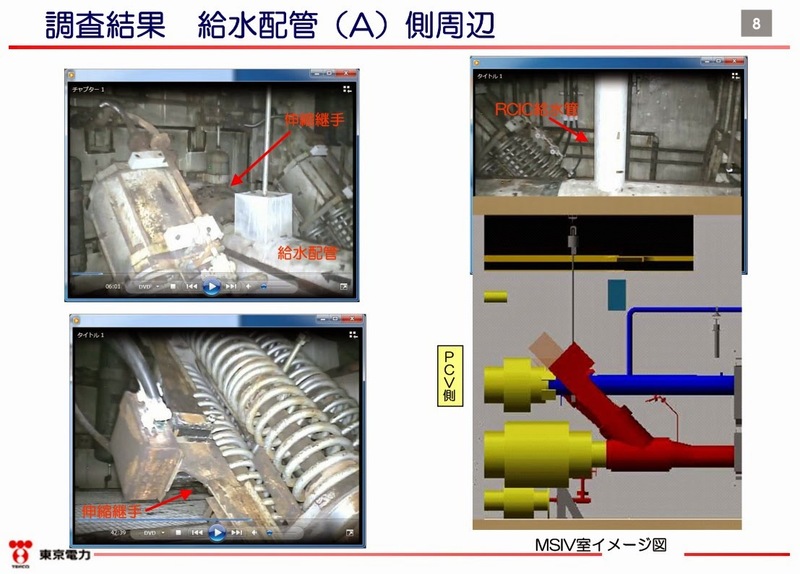 TEPCO inserted a pan-tilt camera, an endoscope, and a dosimeter from Main Steam (MS) Process Monitors that go through the floor of the Air Conditioning Machine Room located right above the MSIV room in Reactor 3. Two spare (reserve) penetrations, marked "X-46, 47"
Two feed pipes, marked "A" and "B"
Four Main Steam Pipes, marked "A", "B", "C", "D"
One Main Steam Drain Pipe, marked "X-8"
There was no leak from the feed pipes. There was no leak above the grating. There was water on the floor below the grating. 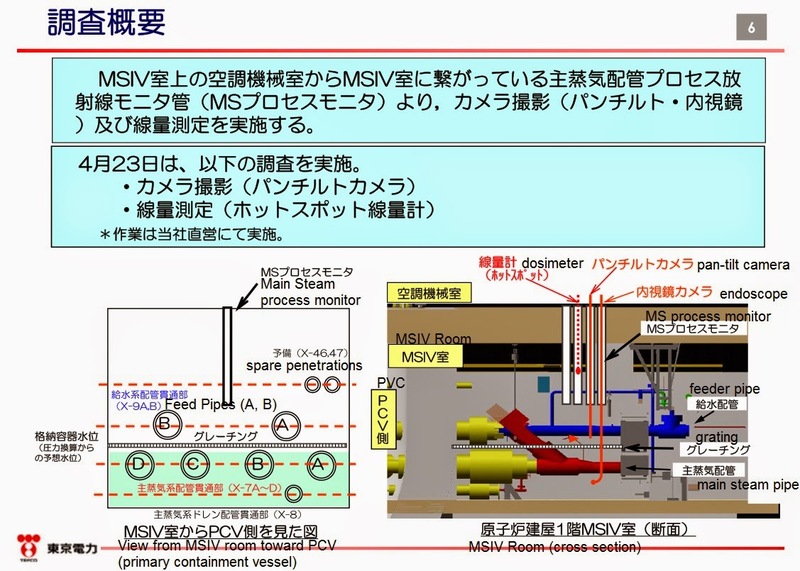 Compared to the Reactor 3 MSIV Room, the Reactor 2 MSIV Room looks to be in pristine condition, both below and above the grating. I also remember anonymous workers at the plant saying they saw the first floor of the reactor building filled with steam, and that it could only be from the Main Steam Pipes. I think it was in the first or second week of the accident, but I don't remember which reactor building. It could have been Reactor 1.